WEAR WE WENT spends a glorious weekend STAYcationing in the big apple where we turned our in-residence suite into home at the wESTHOUSE Hotel. The WestHouse Hotel New York is an elevated getaway tucked away steps from Central Park, 5th Avenue shopping, and the Museum of Modern Art. 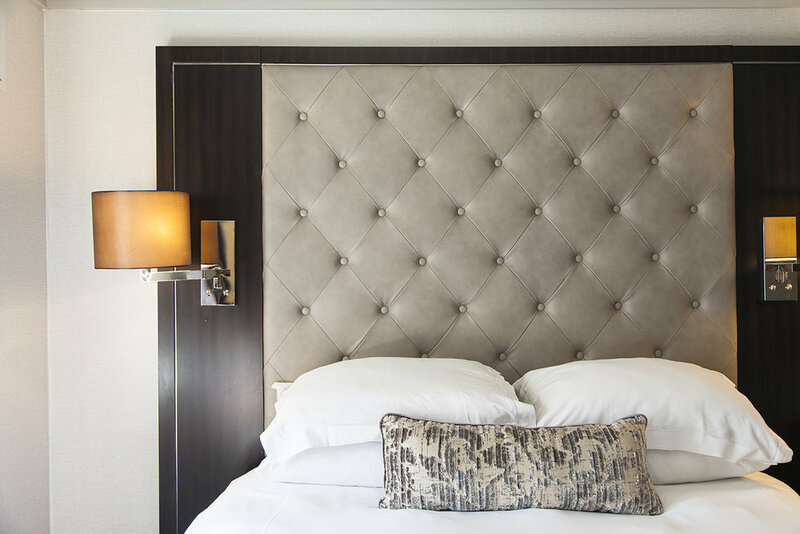 With their in-residence room style concept, the hotel blends the plush comforts of an elegant Uptown apartment with with refined luxuries of a boutique hotel. One of our favorite parts of staying at the WestHouse was the list of brand partners the property prides itself on working with. From gHD hair care tools in every bedroom and suite, to DayNa Decker art deco-inspired products, to collaborating with the Frieze Art Fair for a special weekend VIP getaway, WestHouse offers only the best. The hotel truly knows what it means to live in luxury. We spent multiple moments at the roof deck lounge overlooking midtown, sipping on soft beverages and enjoying the warm sun. Back in our hotel room we loved the look of the bathroom clad in marble and took note of the plush pillows upon turning in for the night. We look forward to stopping back and staying at the WestHouse for our next New York STAYcation.